Last weekend, I was at Goodwill when I found -- quite unexpectedly -- a great vintage chair to go with my desk. I've been through several chairs over the years, and have found most to be uncomfortable. I haven't been happy with this chair, pictured above, for some time, so when I saw the new one I jumped on it (not literally). 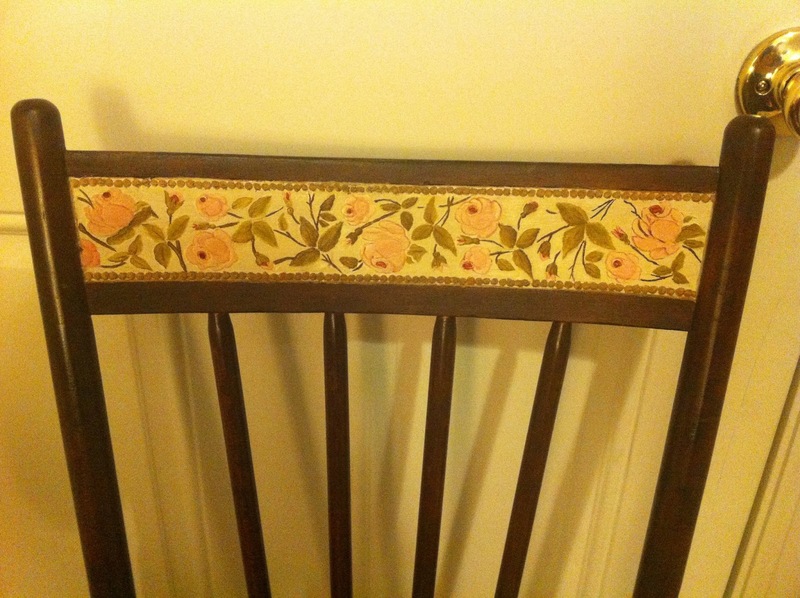 My old chair is really cute -- someone hand painted the embossed flowers across the top of it, but it's pretty and I've always liked it. It just isn't a good chair to sit in for any length of time, and I don't feel like storing anything that I don't genuinely love and want to keep. Plus, I have too many damn chairs as it is. This is another furniture item that I've listed on Craigslist. No bites yet, but I just listed it a week ago, so I'm still hopeful. 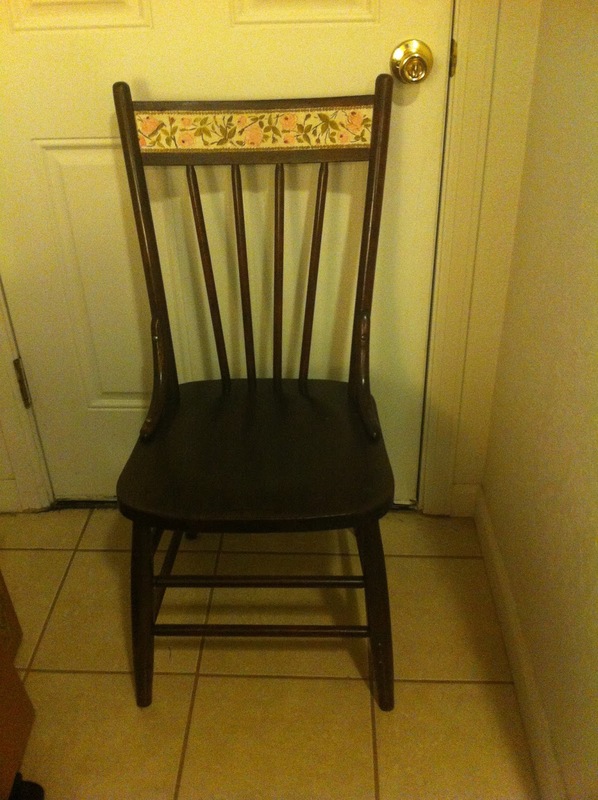 I worry a lot about having second thoughts about getting rid of things, especially things that aren't replaceable, as with something unique like this chair. But I also know that I don't like sitting in it, so I'm trying my best to ignore my fears. I can't keep it all with that reasoning as justification.